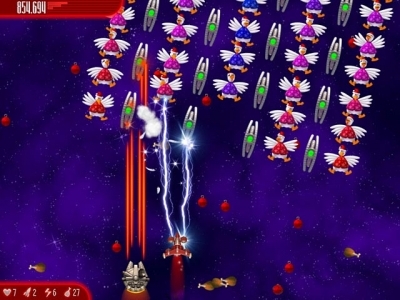 The Chicken Invaders are back and it's up to you to stop them in this Christmas themed Action & Arcade game! 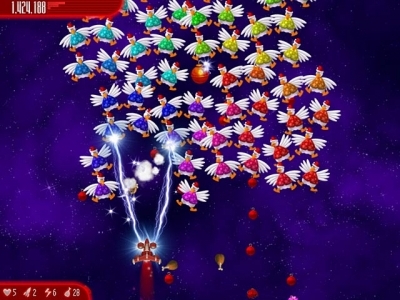 Deck the halls with chicken beaks as you blast them out of the sky and dodge their overwhelming ornaments. Don't be distracted by their adorable Christmas hats...these birds are out for blood! 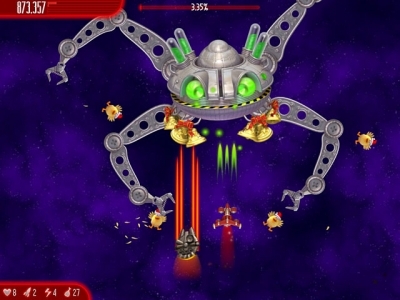 Fry up the fowls and serve up a delicious serving of justice in Chicken Invaders: Ultimate Omelette Christmas Edition!